The longest coast of the island! 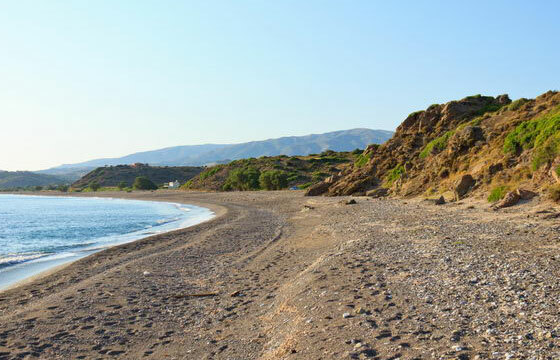 Distinguished for being the largest beach on the island of Chios, measuring 1,5 km in length and 40,000 sq.m. in width, Managros beach attracts visitors who wish to escape from the crowds. The tranquil surroundings and serene atmosphere make this beach ideal for camping adventures. Visitors can sunbathe on the thick sand or dive into the cold crystalline cerulean waters as they enjoy the divine peacefulness of their surroundings.